Willow, osiers and sallow are groups of several hundred species of deciduous trees and shrubs from the genus salix. 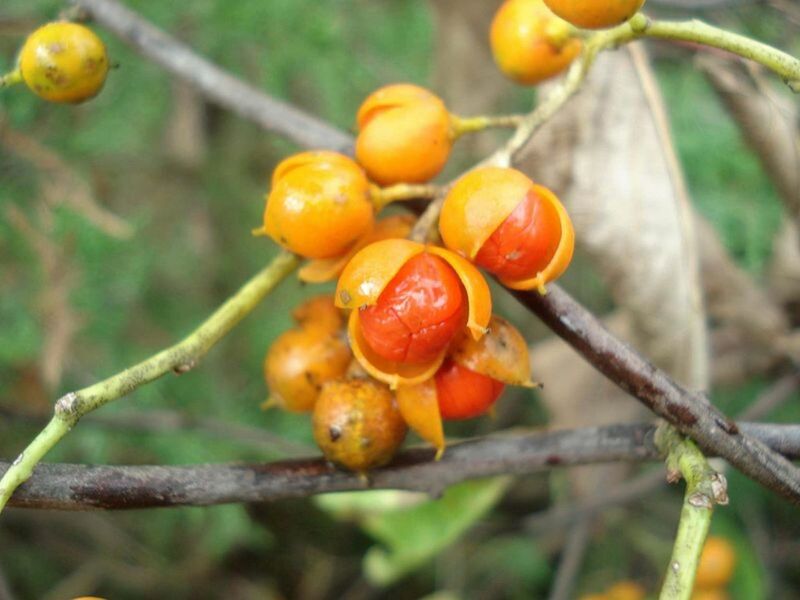 Because they are fast growing, flexible and easy to propagate, they have been used since ancient times for construction and crafts. What Is Willow Used for? Willow grows very fast. In countries that have a mild, damp climate (e.g Ireland where I live), willow shoots grow about 12 feet per year. So what is willow used for? Bamboos are one of the fastest-growing group of plants on planet Earth and have been widely used in the Orient for construction, scaffolding and weaving. Similarly in more temperate climates, willow has been used for crafts and construction since ancient times. 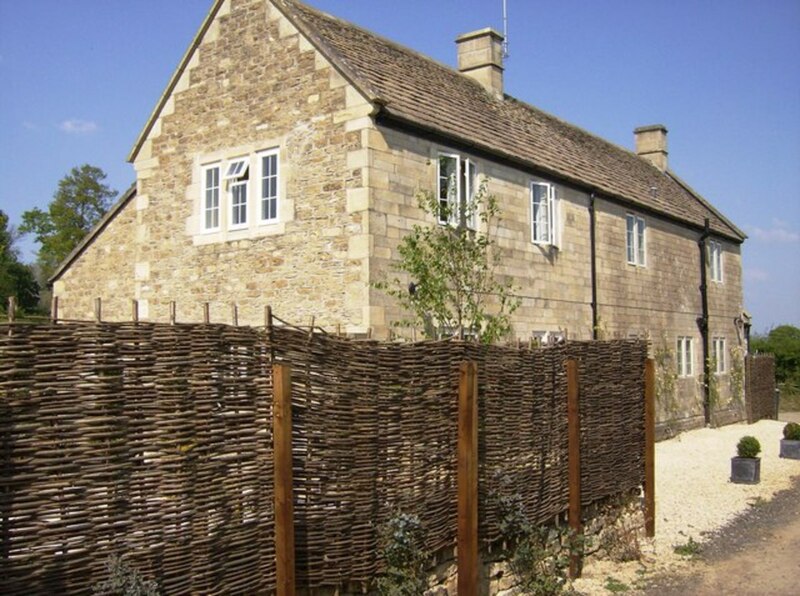 Because willow rods are so flexible, they are ideal for basketry (known as "wickerwork") and construction of wattle fences and walls, in thatching of roofs, and cricket bats. The bark of willow trees has been used for millennia for medicinal purposes. It contains salicin, a compound which is metabolized to salicylic acid in the body. This acts as an anti-inflammatory and painkiller, and salicylic acid is the same compound produced when aspirin is broken down in the body. Willow grows fast, so it is an excellent energy or biomass crop. It is carbon neutral and unlike the burning of fossil fuels, doesn't produce new carbon dioxide (only what it fixed from the atmosphere), which contributes to the greenhouse effect. Willow is harvested, chipped and can be used in home heating systems or for generating electricity in thermal power stations. 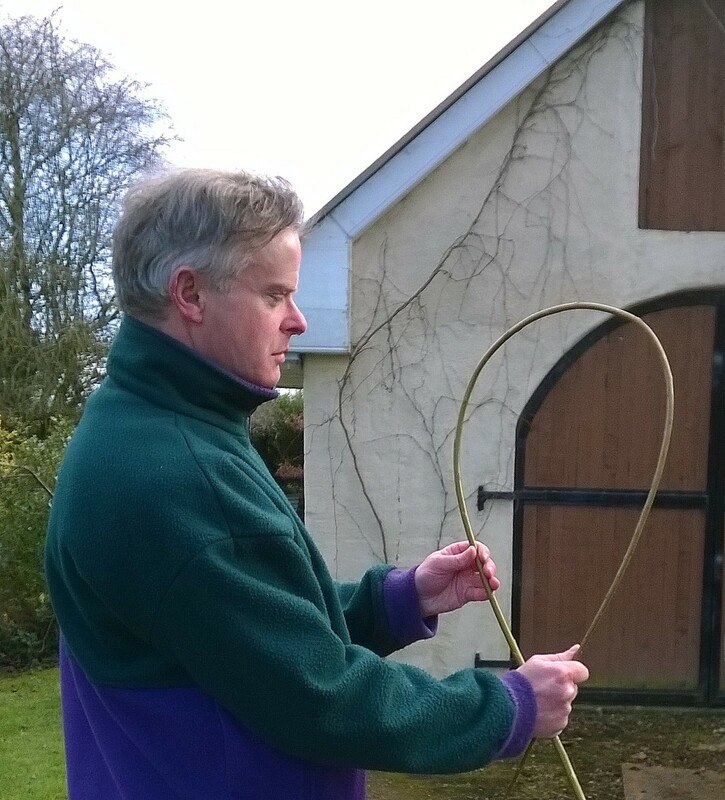 Willow can be used to make a "living fence" and structures in the garden (e.g. huts). A screen made from willow, sprouts in summer, and the leaves on fences provide partial shade and privacy while allowing sunlight to penetrate. 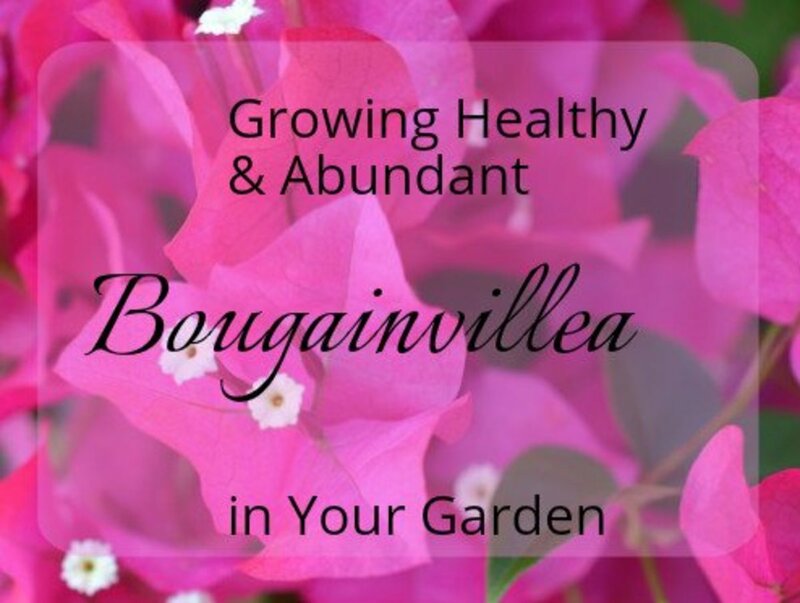 You can buy cuttings in a store, online or get them from a friend. Alternatively in spring, harvest shoots from a mature willow tree. Every time a tree is pruned, it will become more vigorous and start to produce more and more shoots every year. Willow propagates readily and is eager to grow. So shoots will easily produce roots in a bucket of water. Since roots require oxygen, my theory is that it's a good idea to change the water regularly before it becomes stagnant, otherwise the roots could drown and die back. I changed the water every week, but maybe it isn't necessary to do this (experiment required!). Once roots become a couple of inches long, dig v-profile slots in the ground, about 10 inches deep. Insert the cuttings into the slots, spacing them about 1 1/2 feet apart and backfill with sand, taking care not to damage the delicate roots. Firm the sand around the cuttings (If you have a several cuttings, you can dig a v-shaped trench). Water regularly to prevent dry out, especially in dry weather. 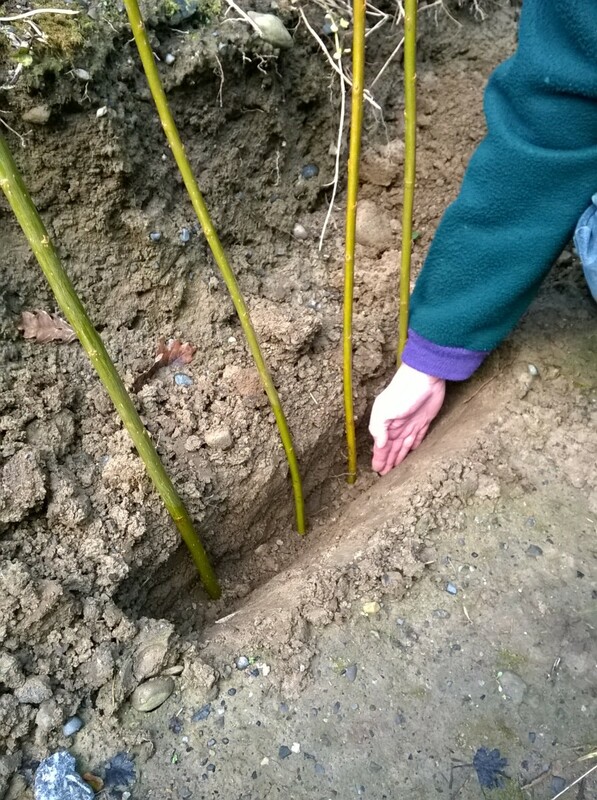 Transplant the new saplings to their final location in autumn when they have dropped their leaves. 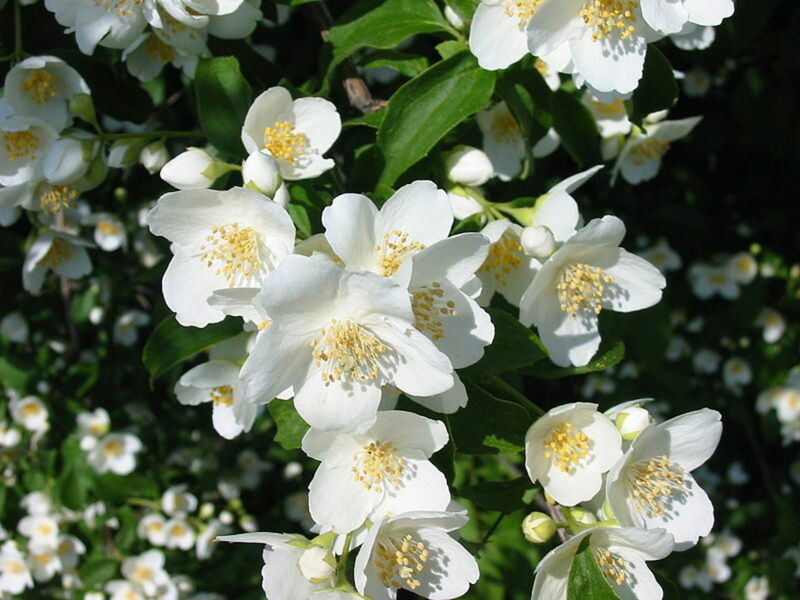 An alternative way of propagating is to take cuttings and plant them between November and early April. The soil needs to be reasonably soft and cultivated for this method to work. Push a metal rod, roughly the diameter of the cutting into the soil to a depth of about 10 inches to make a hole. Next push the cuttings down into the ground, leaving at least 3 buds above the surface. The advantage of rooting in water is that you can be sure that the cutting has developed roots before planting. Sometimes a cutting will fail to root, and if a row of cuttings has been planted as a screen, it will be too late in the season to replace the dead rods, resulting in gaps in your "fence"
In both cases if the intention is to use the cuttings as a source of further cuttings in following years, the new saplings can be cut back to about a foot above ground level in the following spring (i.e. a year since they were harvested). 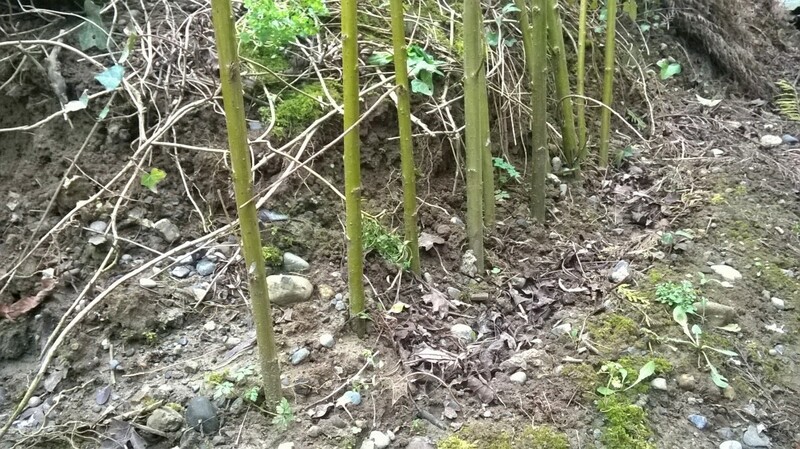 The saplings will then start to produce their own shoots which can be harvested the following year. 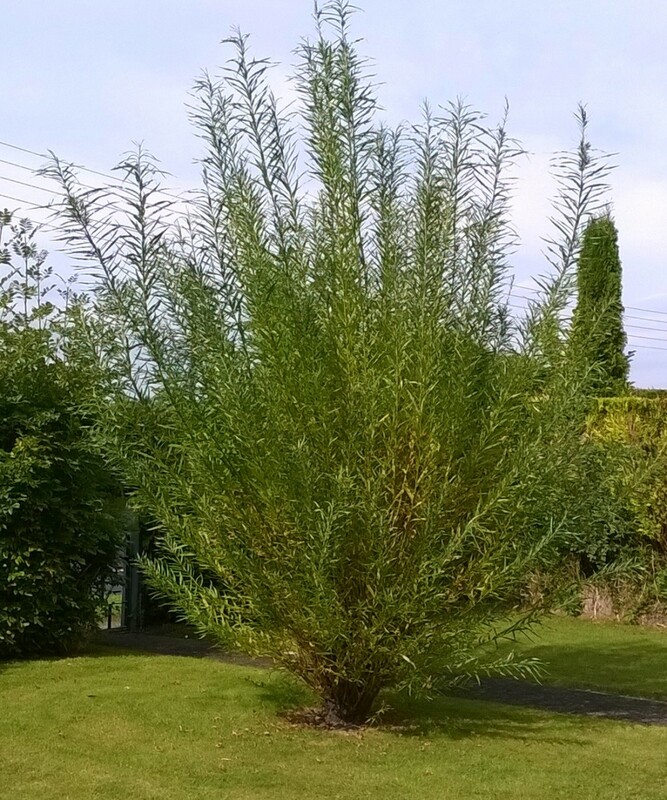 Willow thrives in open, sunny conditions and loves damp, but well drained soil. The roots will seek out water, so trees should be kept well away from drains and septic tanks. 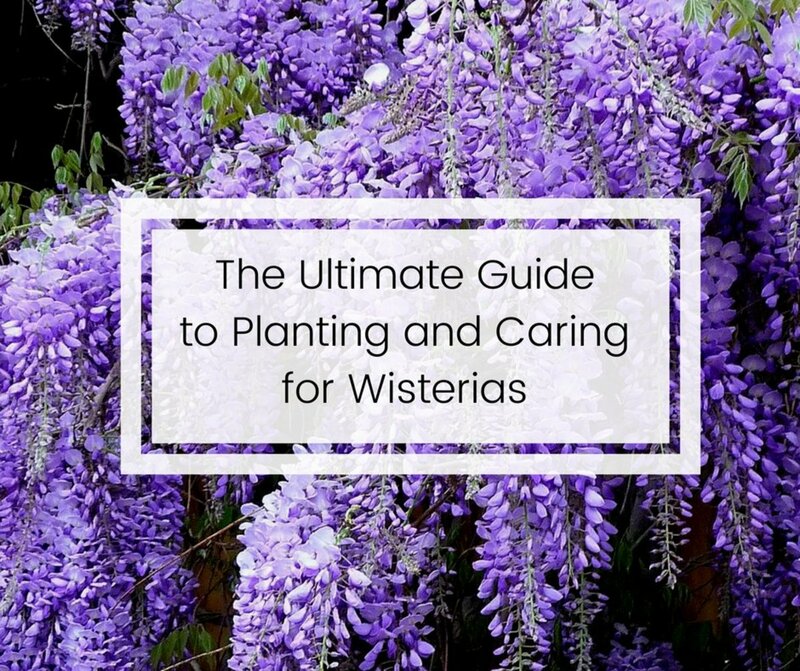 Like all trees, willow should be kept at a distance from buildings, walls and other structures since roots can cause subsidence as they absorb moisture from the ground. If the plants are only used to produce willow rods however, this isn't as serious an issue. In the first few years after planting, grass and weeds should be removed from the base of plants by hoeing or mulching. Cuttings can be spaced about 1 1/2 feet apart. 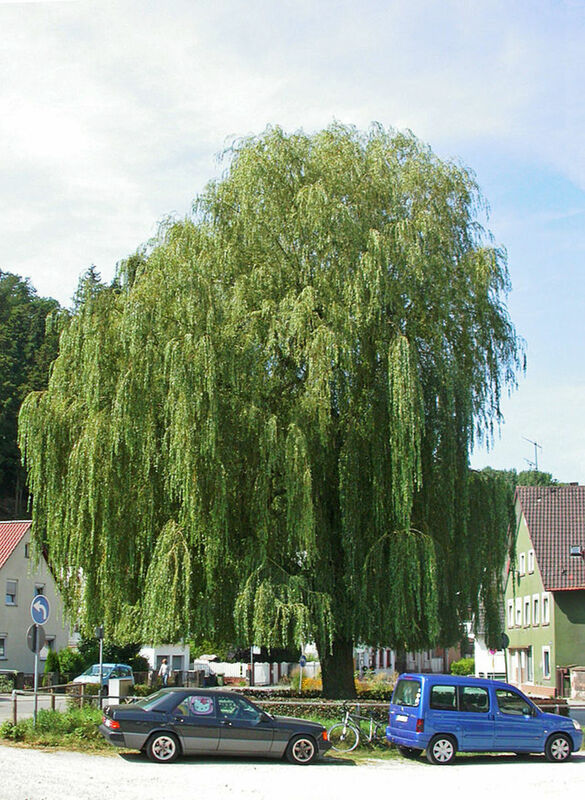 Weeping willow is a cross-bred ornamental willow often seen in parks and growing close to water. You can grow these from cuttings using the techniques described above. We planted willow with the intention of using it for our woodburner. How should we be cutting it back to get the main stem and branches to thicken up please? 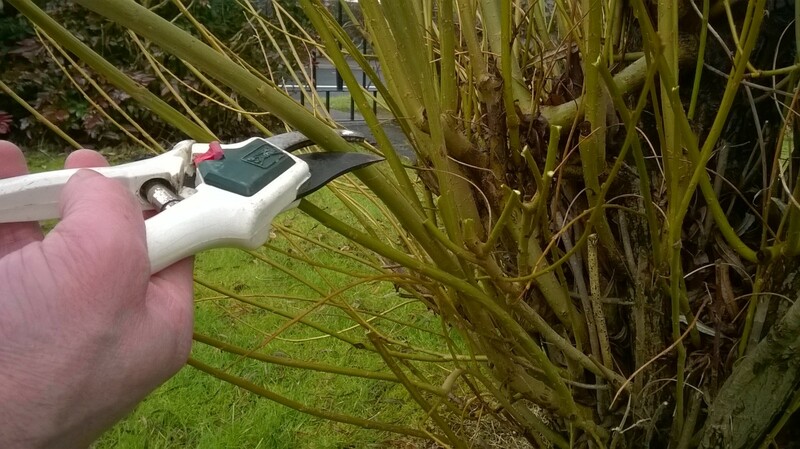 If you cut any side shoots back, the main stem will thicken every year. 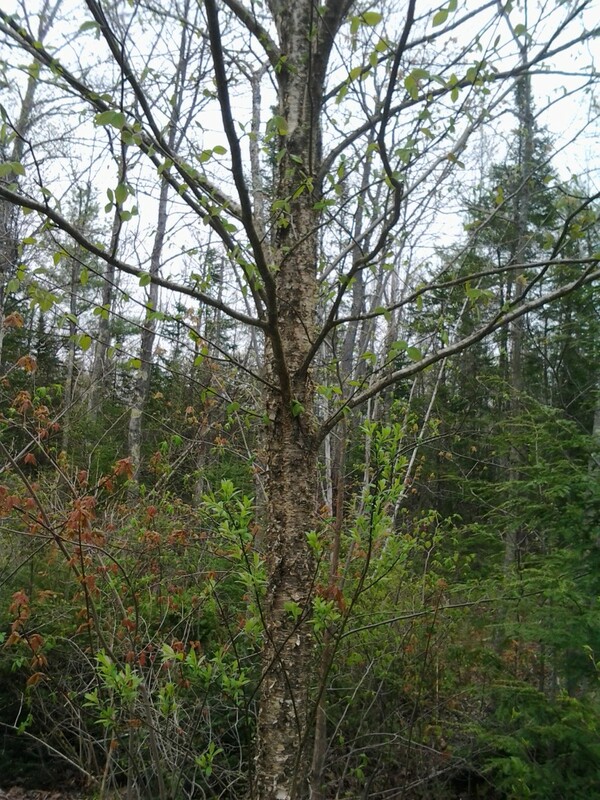 When I started cutting back my tree, it was a few inches in diameter. Now it's almost 1 foot diameter. Also I've found that shoots will grow 12 feet in a year (depending on your climate) if cut back every year. However if left for 2 years, they don't grow an additional 12 feet to 24 feet in total. Shoot thickness will increase, however I'm not sure whether the volume doubles. I would think that skipping the year of pruning slows down growth. 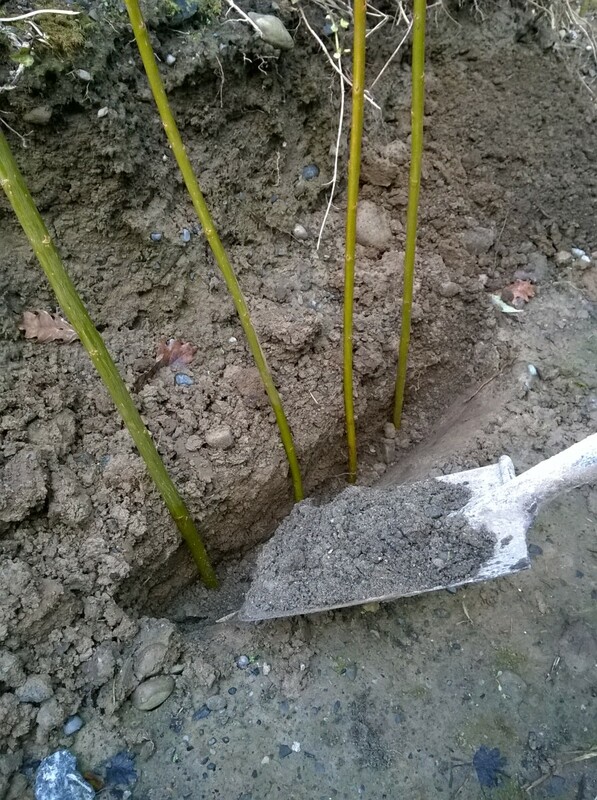 I planted three rooted weeping willow cuttings earlier this year, and they have already produced a main frond measuring 3- feet long which is very soft and delicate, do I tie this to a stake to encourage it to become the main trunk of the eventual tree? I'm not sure; I've only grown common willow and just allowed it to grow naturally so that side shoots branch out from the main shoot. It's probably a good idea to keep the shoot upright. Otherwise, the growth may end up lopsided. Keep it upright for this year and see what happens next year. Side shoots will then grow, and the main shoot will be thicker and start to become self-supporting. Make sure any ties you use don't cut into the delicate stems. A good tip is to thread ties through short sections of waste garden hose or similar to make them wider and prevent them cutting or abrading stems. Usually roots run outwards somewhat further than the crown of a tree. In newer homes, gas, sewerage, waste water and water mains pipes usually run straight out of a building and out to the street (or they may come out the back or side of the building and then outwards). In older houses, especially terraces, pipes may be at the backs of houses. Manholes often give an idea of the route of pipes. I keep reading that willow roots can cause problems with walls, buildings and drains, so should not be planted too close to those things. However, nobody specifies what 'close' is. Also, how do you know if there are pipes running below the willows in your garden? Thanks MG, glad you liked it and thanks for the comments! Really nice aticle and great photos too. I'm really interested in trying this and will bookmark this Hub. Thank you. Enjoyed this very much. Wondering about a small willow stand in a container and if it would thrive for small spaces. I've woven baskets before using willow and raffia. It is quite fun but messy. 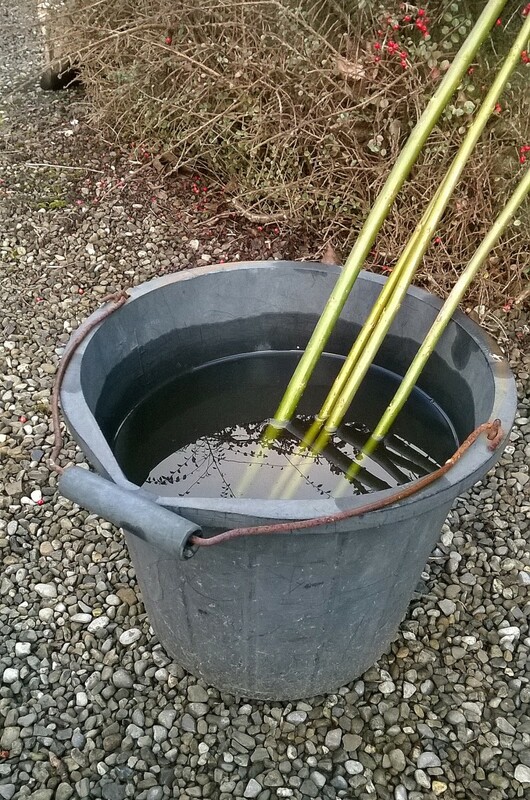 You have to soak the willow so it is very soft and often you want to scrap off the outer bark too so just the inner white wood is used. You're welcome and thanks for the comments! One of the things I would love to try (if I ever get around to it!) 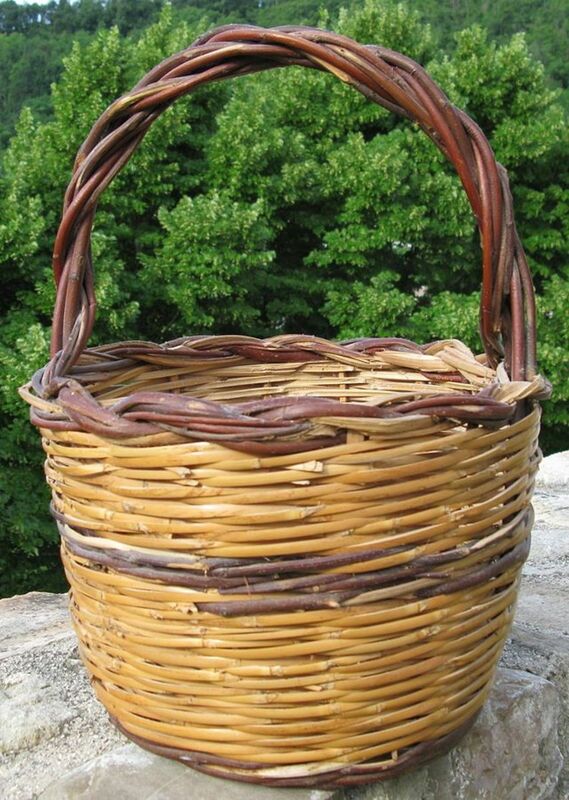 is basket weaving, and it would be nice to try building a small living willow hut in the garden also.